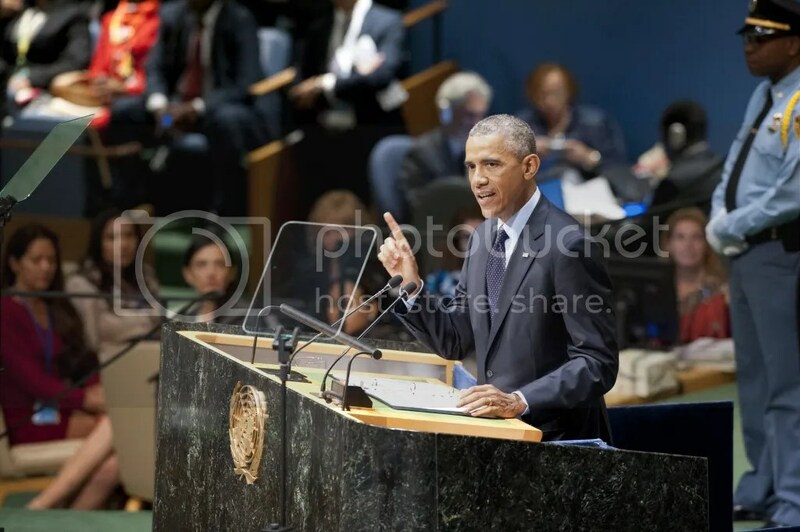 President Barack Obama said on September 23 at the Climate Summit which was hosted by United Nations Secretary-General Ban Ki-moon, the United States and China have a “special responsibility to lead” the global fight against climate change. As the two largest economies and biggest polluters, the nations should be doing more to curb greenhouse gas emissions and to help other countries adapt to climate change effects, the president said in an address to the United Nations General Assembly. Together, the U.S. and China account for roughly 45 percent of total carbon dioxide emissions. Obama said the U.S. would meet its voluntary target to cut greenhouse gases to 17 percent below 2005 levels by 2020. The White House also announced a series of initiatives to help vulnerable communities build resilience against climate effects. The announcement builds on an earlier plan to dole out $1 billion in federal aid to help U.S. states and cities to prepare ahead of time for climate impacts. Policy observers say the statements by Obama and Zhang are an encouraging sign. They “send a clear signal that both countries will work seriously to put in place climate solutions domestically and reach an ambitious international agreement in Paris next year,” Jennifer Morgan, who directs the climate and energy programs at the World Resources Institute, said in a statement.